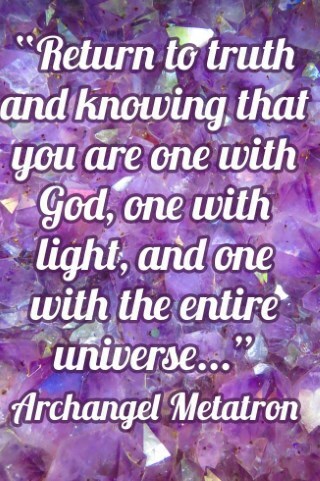 Archangel Metatron is offering a highly beneficial and effective service to help offset the increasing radiation levels that can affect our physical, mental, emotional and auric field from EMF (Electromagnetic Field) in our home & environment. Many everyday items emit disruptive wave bands: mobile phones, Wi-Fi, microwave ovens, computers, mobile towers, electric clocks, electricity Smart meters, power lines, wireless routers, plane travel & cordless phones. Many countries now have 5G mobile network switched on. In some areas it is being tested, in others it is fully operational. 5G requires many thousands of extra tower locations. 3G and 4G Wi-Fi uses between a 1 to 4 gigahertz frequency. 5G uses between a 24 to 90 gigahertz frequency - this means up to 90 billion electromagnetic wavelengths per second. 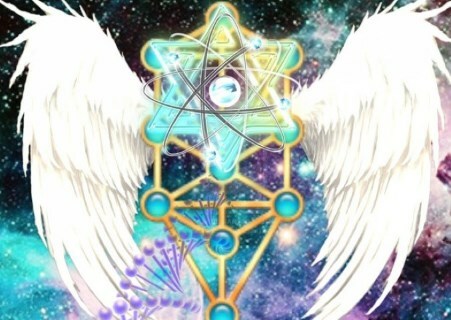 In addition to protection against EMF rays, Metatron will also add protection against any detrimental or negative areas he observes in your life, where it is in Highest Order to do so. 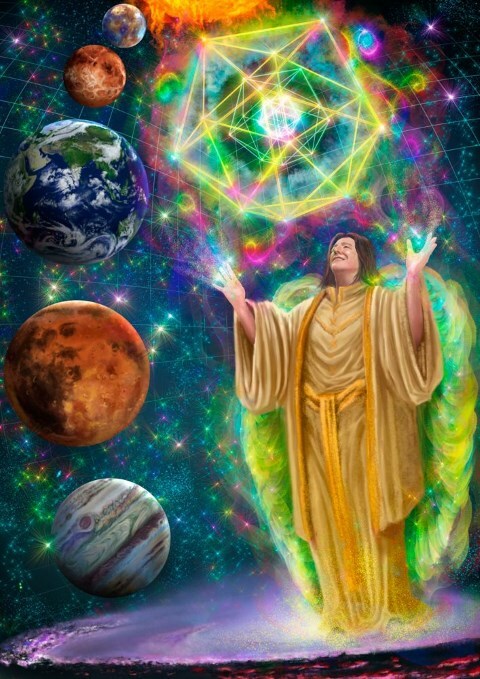 This is an extensive programme, additionally taking into account all past life areas that are affecting you in this incarnation. It is impossible to state how extensive and life changing this programme is. 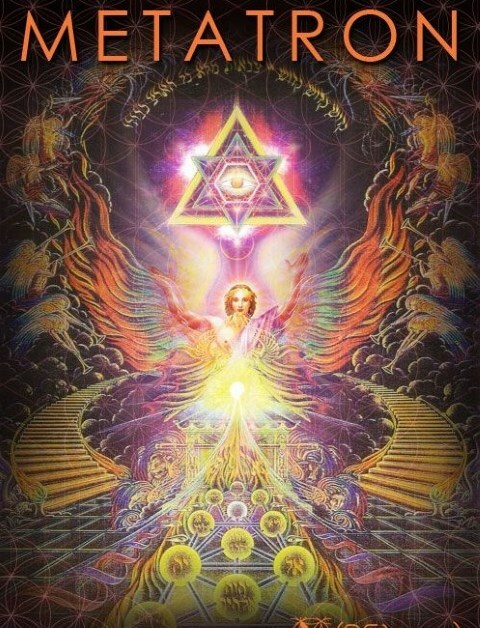 Judging by the feedback received so far, it seems people receiving their pendant from Metatron have had their life change dramatically, often against all odds. People have been reunited after many years of separation, some have suddenly found their purpose and new excitement in life, they have released old vows that no longer serve them - commitments and beliefs made long ago suddenly disappear and whole negative areas are transmuted. 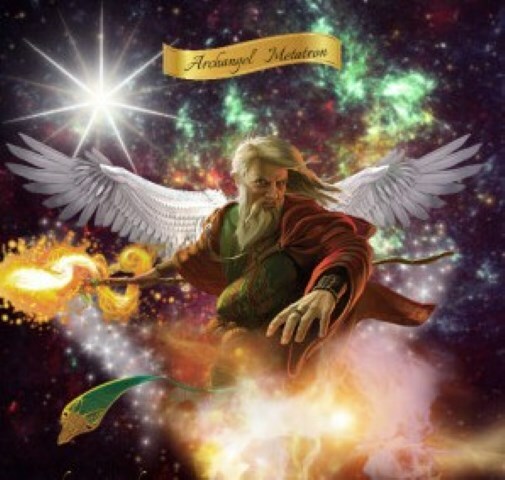 This is truly an amazing programme of immeasurable benefit being offered by Archangel Metatron because we are close to the completion of our work here and we need all non priority distractions out of the way. You need to physically wear (or carry) this in order to gain the protection, so please choose a pendant or bracelet you enjoy wearing. It needs to be a suitable crystal, metal or stone – ideal size is between 20mm to 50mm (¾”- to 2”) and not heavy. If the item you send has an existing positive programme in it, that will be maintained. You cannot ask for a programme for someone else (other than a child under 10) as permission and a signature is required. WHAT TO DO: Carefully package your choice of pendant. You don’t need to send the chain as easy instructions will be sent to you about increasing the frequency of the chain. Include clearly printed full name, home address and postal address (if different) and country -and a note showing your full signature (this gives permission to Metatron) and details of payment. Please include an email address to receive your Tracking Number. If using Western Union to pay, please include their MTCN payment number. Post package Air Mail, with a clearly printed address to - Sandy Stevenson, PO Box 1080, Palm Beach. Queensland 4221, Australia. The programmed item will be sent out ASAP after receipt and definitely posted within 2 weeks. UK/EUROPE/USA/ASIA: $100 ($120 if using Paypal) Please change to Australian dollars prior to sending. Pay via PayPal link below or Cash or PO Money Order or Western Union (WU). If using Western Union (worldwide on-line using Credit card or Bank account or at a local office) – please make transfer choice payable in Australia to ‘Cash at Agent Location’. Include payment Tracking No. (MTCN) with your order. NOTE: Post charge covers 2-4 items in same order to same address, so a 2nd item only costs $70 ($90 using Paypal). NEW ZEALAND: AUS$90 ($110 if using Paypal) Please change to Australian dollars prior to sending. Pay via PayPal link below or Cash or PO Money Order or Western Union (WU). If using Western Union (worldwide on-line using Credit card or Bank account or at a local office) – please make transfer choice payable in Australia to ‘Cash at Agent Location’. Include payment Tracking No. (MTCN) with your order. NOTE: Postal charge covers 2 -4 items in same order to the same address, so a 2nd item would cost only $70 ($90 using Paypal. NOTE: PAYPAL CHARGES A HIGH TRANSFER FEE TO THE RECIPIENT. IF YOU WANT TO USE PAYPAL, YOU NEED TO ADD $20 TO THE COST. You will need a Paypal Account to make a payment. A NOTE about using this Paypal link. To enter the amount, you can't delete the 0's that are already there. What you need to do is put your curser AFTER the last 0 (not at the beginning. Type in the amount and then the existing 0's are replaced from right to left, with the amount you type. Payment can be made on line with Western Union using bank transfer or Visa. Or payment can be made in person in a branch of Western Union (offices found all over the world. Google WU for an office in your town). In the agency, please change your currency into Australian dollar currency and pay the WU transfer fee before sending money. You will need ID to send money.